EAST LANSING, Mich. — Diabetic retinopathy is considered one of the most disabling complications of diabetes and the leading cause of new cases of vision loss among adults. A new Michigan State University study is the first to find that a particular type of lipid, or fat, thought to only exist in the skin, now lives in your eye and might play a major role in deterring the eye disease. 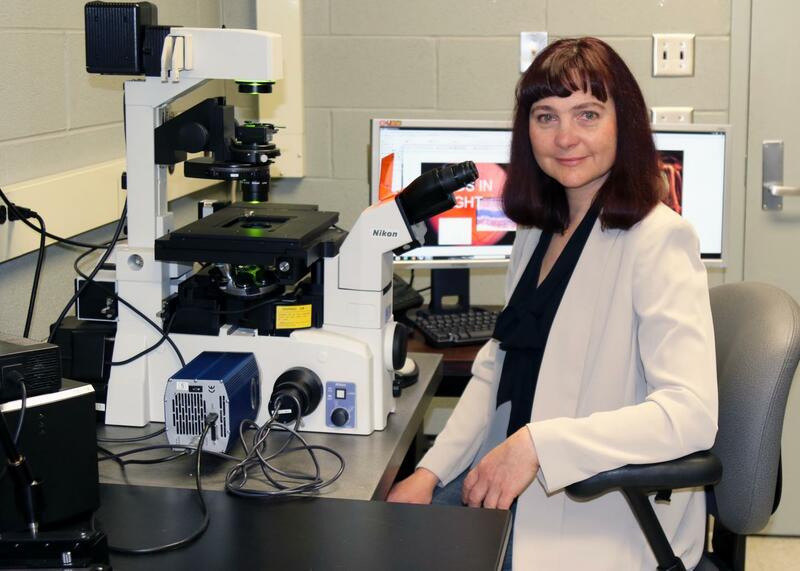 "Our study presents an unexpected finding that the connections between cells in the retinal blood vessels contain unusual, long-chain lipids that may keep vessels from leaking, possibly preventing diabetic retinopathy from occurring," said Julia Busik, lead author of the study and a physiology professor. The research is published in the journal Diabetes. Blood vessels in the retina are closely connected by structures called tight junctions, which are part of the blood-retinal barrier, a virtually impenetrable wall. Busik, along with graduate student Nermin Kady, showed that these connecting structures contain omega-linked acyl-very long chain ceramides – elongated lipids that appear to strengthen this barrier. Diabetes can expose blood vessels to high levels of glucose and unhealthy amounts of lipids, which throws off the balance of nutrients that are transported throughout the body. "When this becomes unbalanced, the vessels leak and become fragile, leading to the development of diabetic retinopathy," Busik said. "It appears though that these long-chain lipids and the enzymes that produce them can protect the retina and its blood vessels." In cases of diabetes, the enzyme ELOVL4 is suppressed by the disease, which decreases its ability to produce these helpful lipids and prevent further damage. Next steps for Busik will be to understand what these lipids can really do and how exactly they're situated in the tight junctions of the retina so new treatments may be possible. "Incorporating more of the long-chain lipids into the eye could potentially be a new treatment down the road and involve injections or even eye drops," she said. Lipids often get a bad rap due to their association with health issues such as high cholesterol and heart disease, but Busik is encouraged by what she's found. "There are bad lipids and then there are good lipids," she said. "We've found good lipids in the eye that have the potential of changing the development of diabetic retinopathy." Busik worked in collaboration with David Antonetti from the University of Michigan. The study was funded by the National Eye Institute.